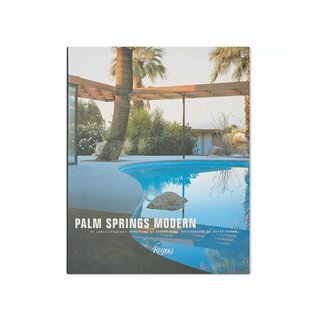 If you’ve ever visited the midcentury modern hotbed that is Palm Springs, California, you’ve no doubt entertained leaving it all to indulge the indoor/outdoor lifestyle among world-class architecture. But then you see the price tag. The city has experienced a nearly 50-percent rise in home values in the last five years, making ownership largely unattainable—until now. Enter the Palm Canyon Mobile Club. 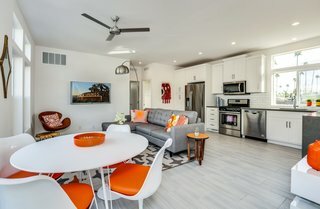 With dwellings starting at $155,000, you can reasonably own a piece of the mid-mod mecca with a tiny home on a turnkey plot of land—pool and dog park included. 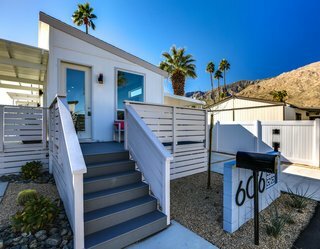 Palm Canyon Motor Club is home to 100 plots dedicated to modern tiny homes. 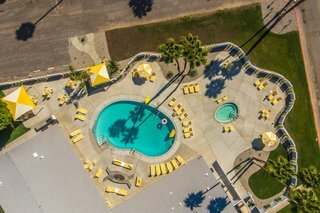 The mobile park setting eases permitting woes and offers community amenities such as a dog park, socials, and "one of the nicest pools in town," according to realtor Paul Kaplan. 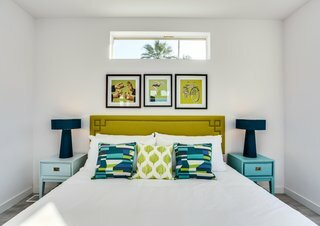 The concept came about thanks to Paul Kaplan, the realtor with an architecture degree who had the vision to revamp the mobile home community, which traditionally offers land and amenities, but often leaves residents wanting more in terms of quality and design. His solution: utilize the mobile park model but improve the architecture. He partnered with a prefab home manufacturer and modified the design to align with modernist principles, which meant a lot of scaling back. Decorative moldings were removed, flat doors were introduced, and floor plans and rooflines were tailored. They also improved the construction, with extra insulation and 2-by-6-inch framing that makes it feel more structurally sound than a mobile home. Four models were developed, ranging from 600 square feet to their "not-so-tiny" model of 1,100 square feet. But unlike traditional tiny homes, buyers don’t have to bat an eye about logistics. 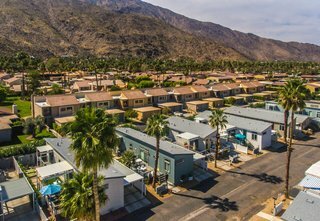 Each unit at Palm Canyon Mobile Club features decks, carports, and fenced-in yards. 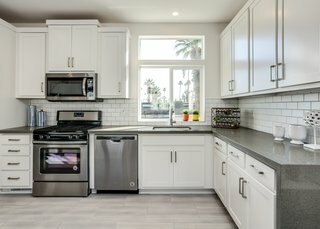 Kitchens range from compact, galley kitchens to open plans like the one above in the larger of the four units at Palm Canyon Mobile Club. Newer floor plans feature two bedrooms at either end of the home, resulting in separate wings. The larger, two-bedroom models will set you back around $225,000. "One of the biggest challenges of a tiny home is figuring out where to put it," says Kaplan, president of Paul Kaplan Group. "With city zoning, regulations, and utility hook ups, you have people here in the high desert spending $100,000 before they even get to the design. That’s what’s ideal about a mobile home community is that it’s already zoned for use." This classic volume, now available at a lower price, showcases jet-set homes designed by the likes of Neutra, Frey, Lautner, and others. Palm Springs is famous as a mecca for the international jet set. 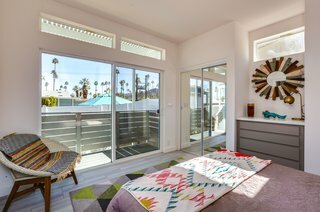 Buyers select and purchase their model, and pay a monthly lot rental fee of $682.50, which covers not only amenities, but also delivery and placement of the unit onto piers, utility hookup, and awning and deck installation. A carport and fencing are also added, offering residents the luxuries of a single-family home with a yard. "For the same price, you can buy a condo, but will have shared walls and not much outdoor space." But what about the stigma of living in a mobile park? "There is such a stereotype of people living in a mobile home community," says Kaplan. "It’s tough for people to get over that. There are some bad mobile home communities in this country, but we’ve learned that people have bias until they see these and love them." Many buyers in the Palm Canyon Mobile Club are downsizing from larger properties in the area. "It's easier living instead of taking care of a big house," says realtor Paul Kaplan. "You can lock, leave, and travel. 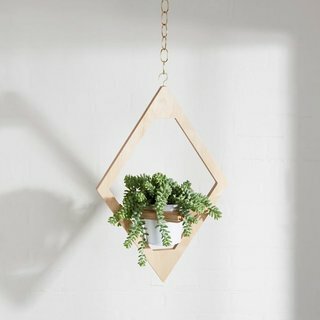 There's no landscaping maintenance, and you can clean the house in less than 30 minutes." Part of that is thanks to its design, but it’s also due in large part to the people. "We want to encourage a community feel with front porches, more social interaction," says Kaplan. Designs were strategic in that regard with no direct access from the carport to the home; residents must walk around the porch to enter. 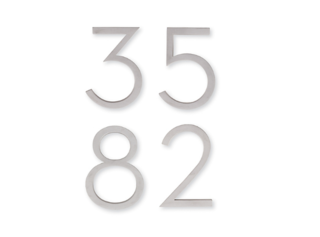 "It encourages socialization with neighborhoods, and we see it working. Social groups come together over happy hours on the decks, and they walk together or take their dogs to the park. It’s pretty tough to find that in a traditional environment." But then again, Palm Canyon Mobile Club is anything but traditional. 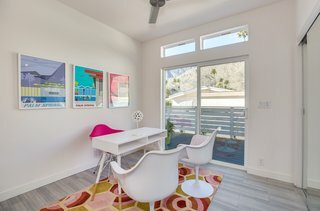 There are four models to choose from at Palm Canyon Mobile Club, ranging from 600 to 1,100 square feet. Pictured is the largest of the units, the "not-so-tiny home." Its two bedrooms anchor each end of the home, offering privacy. The homes feature 9-foot ceilings, and this unit can accommodate a king-sized bed. 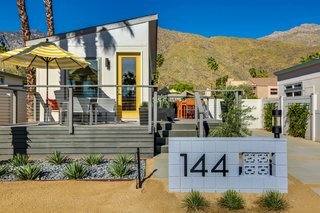 All units at Palm Canyon Mobile Club tout indoor/outdoor living. To learn more, visit Palm Canyon Mobile Club online.